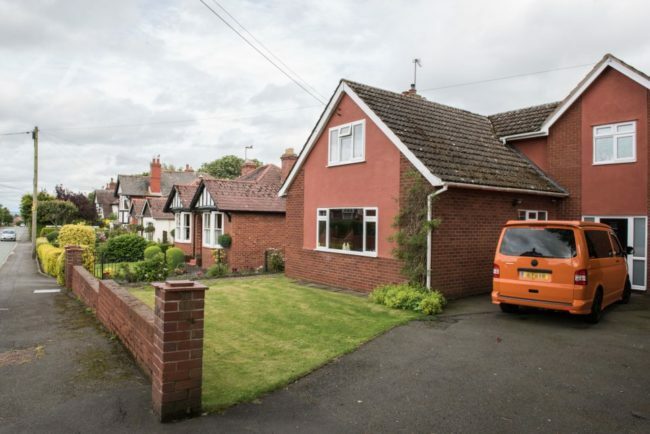 Ever fancied living in a magical fantasy world? 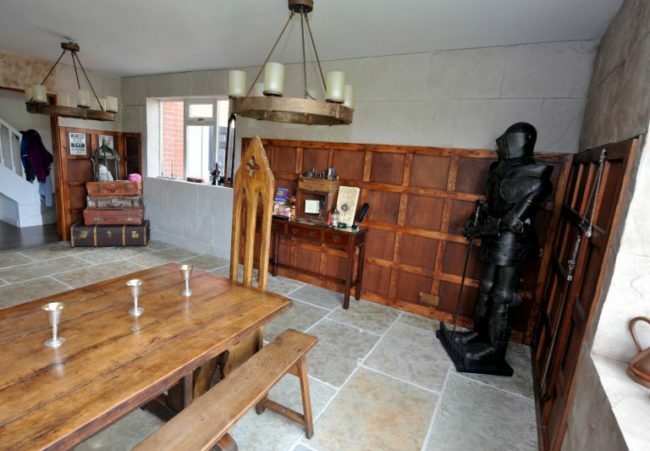 If so, why not take a leaf out of this woman’s book and transform part of your house into a mini-Hogwarts? 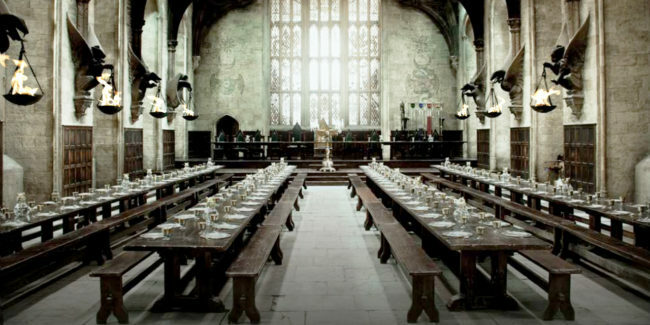 Charlotte Kyriakou from Shrewesbury was so impressed by a visit to Harry Potter Warner Bros studios she decided to embark on an ambitious project to transform her dining room into a scaled-down version of the Hogwarts dining hall – complete with wooden panelling, replica Hedwig, and a few original props from the Harry Potter movie series. But while most people daydream at work thinking about what they’re dream house would look like, there are a few people who actually make it into a reality, despite how weird it may look to others. Harry Potter and the wizarding world is a cultural phenomenon, and countless people have flocked to the imaginary school, Hogwarts as a sanctuary from the harsh realities of the real world. Most Harry Potter fans claim they would love to live and study at Hogwarts, but the reality of actually doing that is slim. But if you’re crafty enough, you can conjure up the feeling that you’re living in Hogwarts! 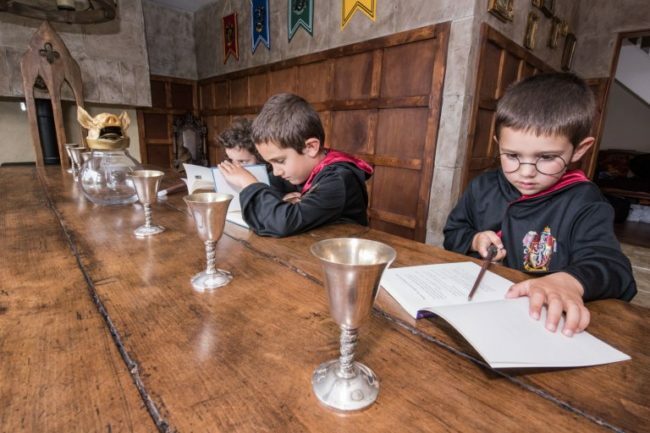 Charlotte Kyriakou is a busy mom, but she and her husband spent the past year and a half turning her dining room into the Great Hall from Hogwarts. 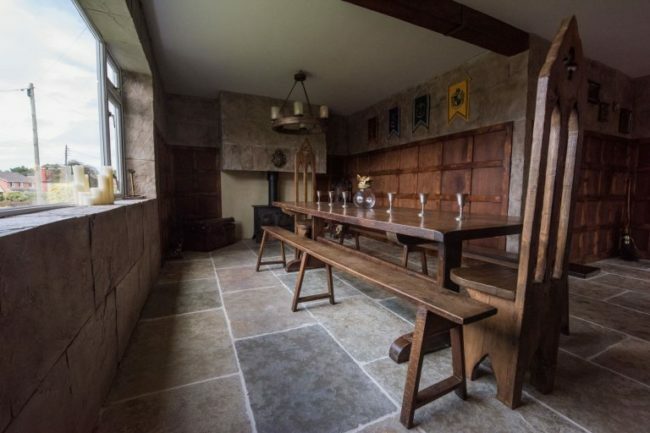 Charlotte spent an astounding £13,000 to turn her dining room into a replica of the Great Hall and it took 18 months to put it all together. But from the outside looking in, you wouldn’t guess that this ordinary looking house had a replica of the Great Hall inside, would you? No, me neither. When Charlotte decided to recreate the Great Hall in her home, the family had to relocate their front room to another part of the house. However, when you’re building something like this and on such a grand scale all the little sacrifices are worth it. Charlotte and her husband spent over a year sourcing the materials. Remarkably the family was even able to get some of the furniture from the sets of Harry Potter! After a trip to the Harry Potter Warner Bros Studios, Charlotte became inspired and decided to recreate the Great Hall at home!